When it comes to my extra savings accounts, I love a good plan. There are key things you can save for every month and should be doing routinely. Because things inevitably breakdown (like the hot water tank that only breaks at 2 am for some reason). Having these savings accounts set up in advance will allow you to sleep easier knowing that when something goes there is already money put aside for these items. Before I jump into the list here is what you will need to start saving for these save-worthy items. A separate bank accounts for each of these. Now let’s be clear if you have to pay for every account that is a big saving money no-no. There are enough options out there that you should be able to be free of monthly bank fees. The one I use is Wealthsimple’s Smart Savings Account. It offers a savings rate that is double my bank account. Plus it is easy to set up (it took me less than 3 minutes) and you can automate it right from the start. 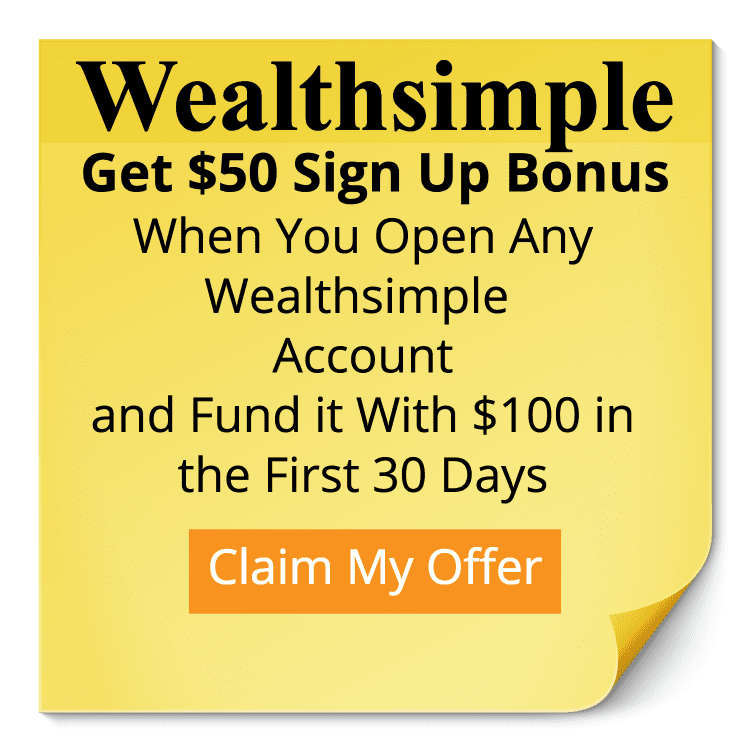 It’s free to get started and they offer a $50 sign up bonus for new readers of Family Money Plan. Check them out here. If there is anything that will trip up your savings plan, it’s you not remembering to save. Doh! 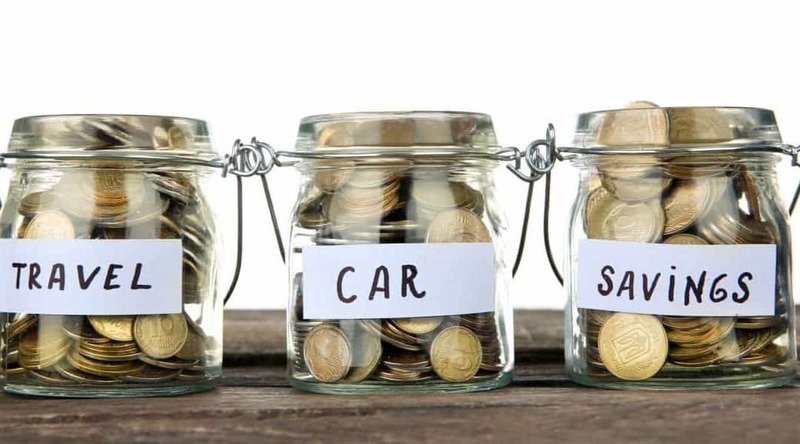 Get around this by automating your savings. Just go into your banks online platform and set up an automatic transfer into your new accounts. It will take you less than a minute and then you don’t have to worry about it after that. When you automate your savings, the results just show up over time. You set it up once and then move on with your life. It’s how things should be with your money. Easy and simple! BTW I cover all of this in my free course The Money System That Changed My Life. If you aren’t happy with your money progress, maybe it’s time you check it out… Did I mention it’s free? Enter your email to sign up now. Unless you plan on working the rest of your life you should be putting away for retirement. I don’t care if you are Archie, Dylan err… I mean Mr. Andrews or even Mr. Weatherbee. Wherever you find yourself in life, you need to save up for retirement. A little at a time now will go a long way later. If you think old Betsy won’t be needing an oil change, new tires, or brakes eventually then you are probably riding a bike. Or you just don’t care. If you do care, then you don’t want to be caught off guard with a surprise repair bill. The best way to get around the sticker shock the next time you take your car in is to start put-put-putting a little bit away every month. If you have owned a home for more than 5 minutes, you realize that you are going to need some extra cash to fix what breaks down on you. A good rule of thumb is 5 to 10% of your monthly mortgage. Depending on how old everything is in your house you may need to budget for more. Remember everything in your house breaks down. Sometimes slowly, sometimes faster than you would like. I’m going to let you in on a little secret. They announced plans for yet ANOTHER Christmas this year. I mean didn’t we have one last year? They are even doing it on the same day, December 25th. So make sure you mark it on your calendar. All kidding aside, Christmas is usually a stressful time of year, before you factor in the extra spending. So do yourself a favor and set up an account and start putting money into now so you can arrive with a nice full bank account to spend on others, or yourself, no judging. The same goes for birthday gifts. If you buy for the same people every year, budgeting in that amount and putting it away makes sense throughout the year. It will help soothe out the rough times when you have to buy multiple gifts in a month…. like December. For more on how to budget for the Christmas bill, you can check out this post here. This doesn’t mean a brand spankin’ new car (does anyone say spankin’ anymore or is that not politically correct? ), but it does mean putting some extra money away into your car fund for whenever old Betsy decides to take its last ride. Of course, it’s always going to be cheaper to repair than to buy a new one. But at some point your car will die *tear tear* and you should be ready for it. Otherwise, you will end up financing something at a higher rate and it will cost you more than you would like it to. This one can take a while to do. If you are making your house and car insurance payments monthly. The idea of saving up for these to do them in once a year lump sums is going to seem like a big task. Here’s how you know if it’s worth paying it once a year. Look at your annual payment and compare it to the monthly amount. If you are paying $1200 a year for car insurance, but your monthly payment is $120 (meaning you are paying $1440 over the year), then you are overpaying for it. It’s pretty common for insurance companies to do this. They are financing your purchase of their insurance over the year. With that, they can charge you administration fees and interest. When I realized I was paying 6% interest by doing monthly payments I quickly changed. It’s a nice way to get an easy return on your money. Going on a trip when you haven’t saved up the money is crazy. It’s more like a financial suicide mission than a relaxing break. Do you and your family a favor and start saving up for your next trip. When the time comes to go on a trip use the amount you have in your savings account. If you don’t have enough to go on the BIG trip you want to go on, find one that suits your budget, or delay your travels until you have enough saved up for the trip you want to take. Visit our post how to set up your own travel fund quickly, it will walk you through setting up a travel fund in under 5 minutes. All of these things should have their own accounts. They can all be different amounts depending on which goals are best for you. If travel is more important than gift giving, then put more money into the travel account. You’re the boss and you make the rules! It’s an extremely personal thing. Do yourself a favour and get started on your savings accounts. You will be so happy you did the first time you have a major repair come up. These 7 things you can save up for will make your life much easier. Head over to Wealthsimple with this special link and sign up for Wealthsimple’s Smart Saving account and get a $50 bonus when you save your first $100. Are there any items you are saving up for right now that aren’t on the list? Let me know if the comments below so we can all make sure we are saving up for the right things. Like what you read? Found it useful? Help others find it by sharing!